The motion passed at the union's annual congress today. 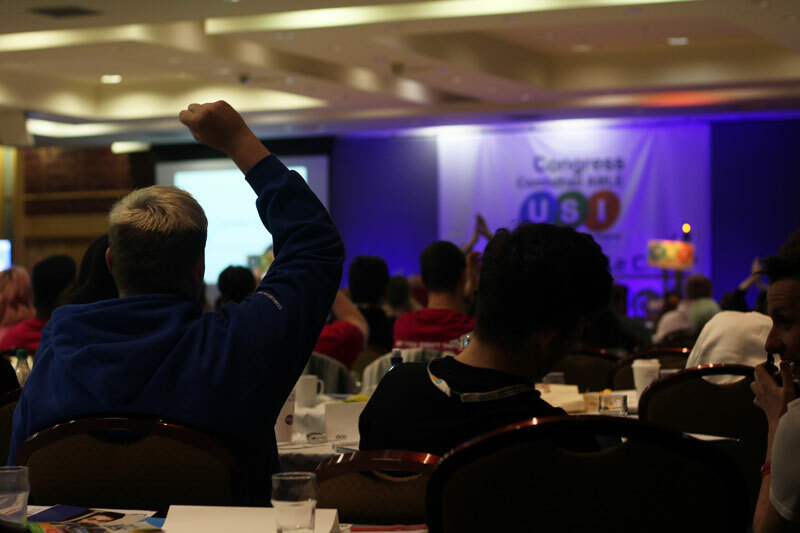 The Union of Students in Ireland (USI) voted today at its annual congress to support a boycott, divestment and sanctions campaign against Israel. Student organisations have increasingly moved to support the campaign, even if not every students’ union in Ireland is mandated to support action against Israel. The motion today was pitched with calls for students to be on the right side of history, a cry that was greeted with a standing ovation from the audience. The motion was brought by Queen’s University Belfast Students’ Union (QUBSU) and needed a two-thirds majority to pass. “We are talking about institutions that are supporting” the military occupation of Palestine, he said. USI is now mandated to lobby universities to divest from and “terminate any contracts with companies that are complicit in the occupation of the Palestinian territories and violation of Palestinian human rights more wisely”. The union will also “support an Academic Boycott of Israeli Higher Education Institutions complicit in normalising, providing intellectual cover for, and supporting settler-colonialism”. Trinity College Dublin Students’ Union (TCDSU) is mandated to support a boycott, divestment and sanctions campaign, after a referendum on the issue passed last month. The issue was pushed to the centre of campus politics over the last year by Students for Justice in Palestine. At congress today, President of Dublin Institute of Technology Students’ Union (DITSU) Boni Odoemene suggested that support for boycott, divestment and sanctions might be anti-semitic and could draw accusations of “neo-Nazism”. There was heavy Trinity support for the motion. Shane De Rís also spoke in favour of the motion. “Join us in our fight”, De Rís asked students. “In our thousands, in our millions, we are all Palestinians.” Laura Beston, TCDSU’s Disability Rights Officer, also spoke in favour of the motion.